Newport Beach Police Department is a small police agency with just under 150 police officers and between 20 and 30 volunteers. Jennifer Manzella has been with the department since 2002, serving as the Volunteer Program Coordinator for the past year and half. 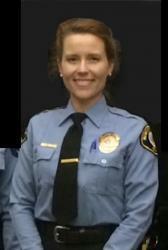 In addition to managing volunteers, she also runs the Citizens Police Academy and serves as Press Information Officer. Jennifer uses Track it Forward to tracks volunteer hours and duties. It’s important for NBPD to calculate how much volunteering contributes to offsetting costs of jobs traditionally done by paid personnel. These numbers are used by their Chief when he speaking to community groups in order to show the value of our volunteer programs. Her volunteers employ a variety of methods in submitting hours. They have an embedded code directly on the volunteer website, as well as a direct link to the Track it Forward website, a link to download the Track it Forward mobile app, and an iPad with the Track it Forward App installed at the volunteer desk. When they finish their shift, they can log in their hours and go on their way. “It’s nice, because there are so many options so that each volunteer can be accommodated,” says Jennifer. NBPD rewards each volunteer with a certificate after 500 hours of service and pins at each 1,000 hour milestone. The Milestones feature on Track it Forward is key in keeping track of these rewards. 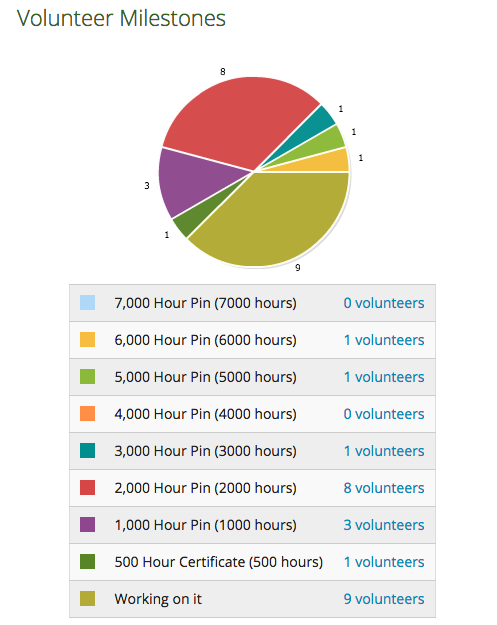 This feature updates in real-time, so that Jennifer can prepare awards in a timely manner for each volunteer meeting. Other perks for being a volunteer include a dinner during National Volunteer Week, a summer barbeque and annual holiday dinner. During their annual awards ceremony designate a Volunteer of the Year Award, so they get the same recognition as a paid employee. “The biggest benefit is that it’s saving me personally a lot of staff hours while not minimizing the recognition of the volunteers. Because I do have so many other tasks to attend to, it really takes some of the responsibility and paperwork off of my hands by automating that time tracking process. Also, with the online system, we can all get on there, look at the appropriate data, approve hours in a much more timely manner, and the volunteers themselves have access to their records right away,” says Manzella.